I had some cheese left over from making Goldfish Crackers (see the recipe for those here). Those are fun to make though a bit tedious because the cutter is small. What to do with left over cheese? Besides eating it as it is, which I am not fan of, I thought I could do some more baking with it. 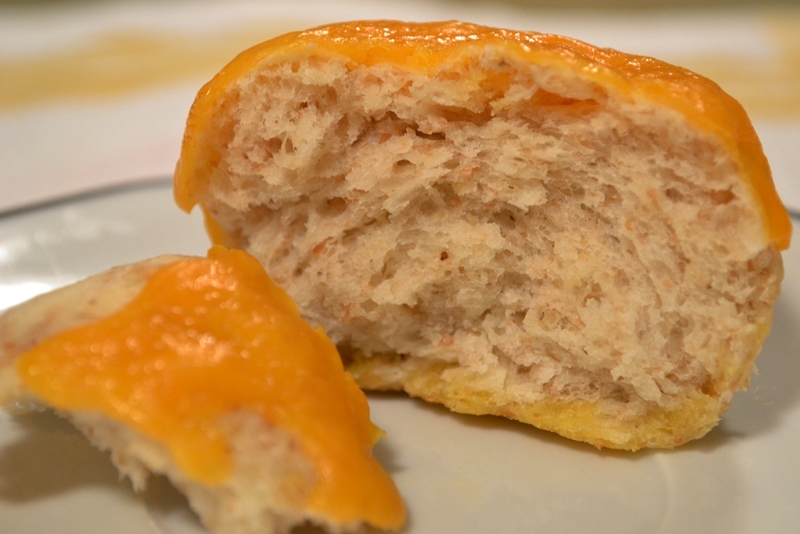 A quick look into one baking book and voilá I have a cheese bun recipe. Funny thing: I don’t like cheese that much, at least not like most people. I can tolerate cheese on my burger or pasta or even pizza. But if I have a choice I will most likely avoid it. An exception are cheese buns. 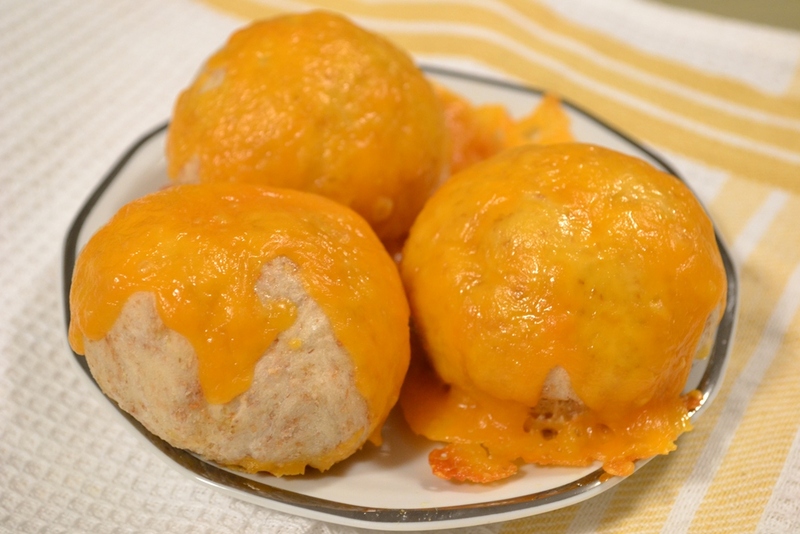 I like cheese buns from back home and those here are not half bad either, maybe just a bit too greasy. As a result, an attempt to make them at home seems logical. Tip 1: I used 300g of all purpose flour and 200g of whole wheat flour. Tip 2: If you use whole wheat flour you should increase the yeast. I would generally recommend to increase the amount of yeast because German flour seems to be lighter. Tip 3: Because North American flour seems to be heavier you might have to add more warm water too. Combine the flour, salt and yeast well and add the egg and warm water. Knead the dough until you have a smooth ball of dough. Place it in a warm spot until it has doubled in volume. Knead the dough again and form into a roll to cut into 15 pieces. 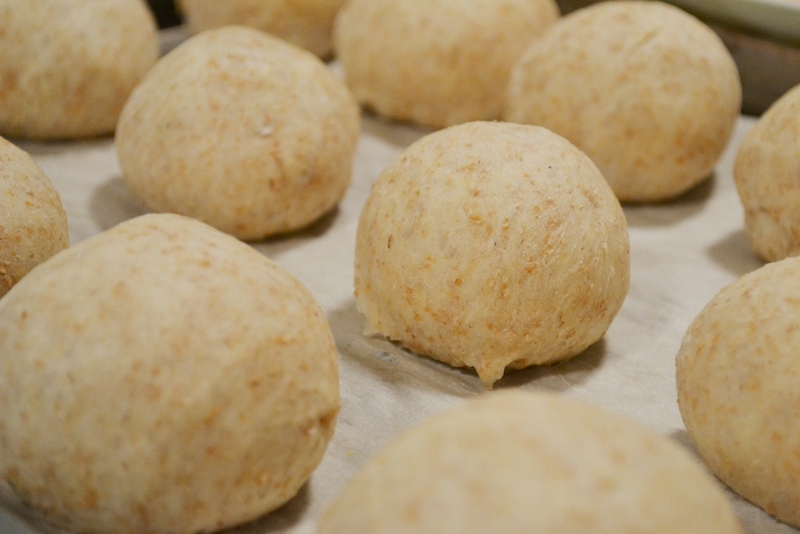 Form buns (basically a ball) and place on a sheet lined with parchment paper. Let them rise again for another 10 min on a warm spot and cover with a tea towel. Tip 4: I used a scale to make sure they are all the same size and weight. Before baking them, brush them with a bit of milk. Bake at 200°C for about 10 min. 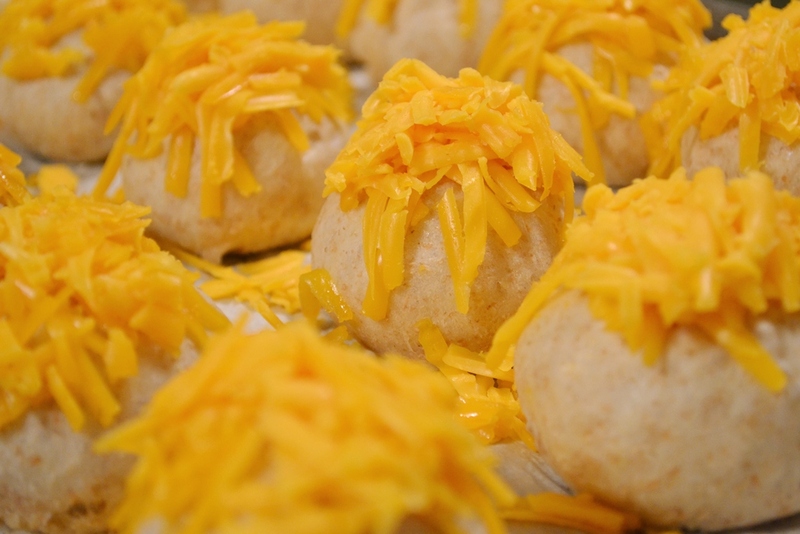 Remove from the oven and sprinkle the cheese over the buns. Put them back into the over for another 10 min. Let them cool in a wire rack. I used cheddar cheese because that is what I had. Well, it’s strong cheese flavour. The buns also didn’t increase in size all too much so I have 15 little fellas to eat now. As I said, the flour in North America seems heavier to increasing the yeast amount seems like a good idea. The same it true for using whole wheat flour because it is, if I am not completely wrong, also somewhat heavier than all-purpose flour. Next time I know better, experimenting with recipes like this is fun and it was not a complete failure. Posted in Bread and tagged baking, buns, cheddar, cheese, recipe, swiss cheese, whole wheat flour. Bookmark the permalink.